Embedded Domain specific languages (EDSL) are a great way of presenting functionality in a programming language for a solving a specific problem. Linq in VB.NET and C# is a great example. The F# language provides programming constructs for creating EDSLs – a good is example is this Logo implementation. When writing web parts in C# for SharePoint the System.Web “table” class or “table” HTML elements are most often used for controlling layout (“div” aficionados keep your ears covered…). The code quickly gets ugly and difficult to manage – there’s no direct control to ensure correct matching of opening and closing of tags. So how about writing an EDSL that provides a syntax and constructs for doing this? labelRow1.Text <- "Row 1 Label"
Row: Start a new table row. Cell: Start a new table cell in the current table row. Content: Output content to the current table cell. The content can be a System.Web control or static text. These use F# discriminated union to declare what’s allowed in “CellContent” and “TableContent”. These types are self-referencing hence the use of “and”. 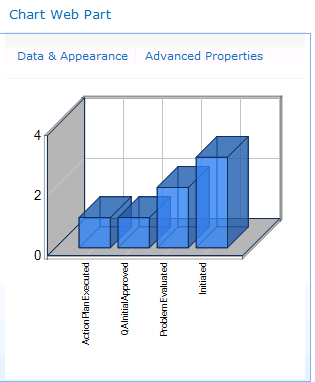 Notice how a “CellContent” can contain a TableContent, and this allows a table cell to embed other tables. The “of” keyword declares the data type of the “statements” in the EDSL. Iterates across the list of language statements, calling the method “Table” on each statement in the list. Checks to see if there’s a cell to be closed through calling “CheckCellClosure”. Finally, we have the “Table” method that is called to execute each statement. This method uses the “F#” match construct to provide implementations for each of the allowable statements in the language. The “Content” statement has an additional “match” to determine what type output is required. In the case of “InnerTable”, the method “Table” is called recursively. The language can easily be extended to, for example, allow CSS styles and other table formatting instructions to be applied to the table. Click Here for a page showing all the source code. The code is completely equivalent to C# web part code: define a namespace, import namespaces, define a type (class) that inherits from “Web Part” and provide an overload for the “Render” method. Here’s how to build and test the web part using Visual Studio 2008. It’s not quite as straightforward as with C# as the web part is not available in the toolbox. Also, this example does not sign the assembly so it’s not ready for SharePoint. Create a new project using the F# Library project template. Call this project FSWebPart. Add an F# Source File into which the above code should be placed. Name this file HelloWorldWP.fs. You can delete the fs file created with the project. You can now add a web project to the solution which will be used to test the web part. Add a “New Web Site” project to your solution. Call this web site WebSite. A reference to the F# project will need to be created in this new web project. You must create a reference using the “Browse” facility to locate the assembly – do not use a project reference. Right click the WebSite project and select Add Reference. Click the Browse tab and select t the assembly FSWebPart.dll. Open default.aspx in “source” view. 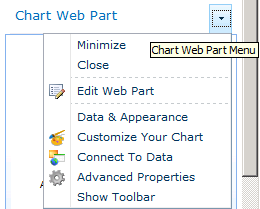 Drag and drop a WebPartManager control from the Toolbox, WebParts section, under the <body> tag in default.aspx. Drag a WebPartZone control and drop under the </div> tag. Compile and test the web part. It should be displayed in the ASPX page. Update: 12-May-2010: See this next post to find out how to write an EDSL for outputing Table Tags!